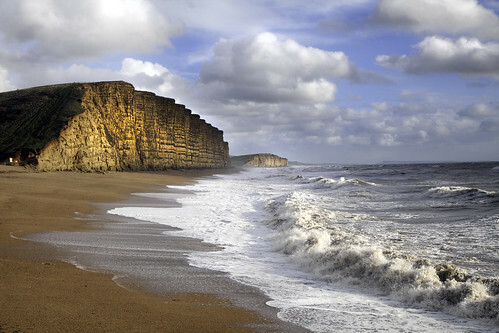 Storm And Sun in West Bay, a photo by natamagat on Flickr. After a very stormy night, West Bay beckoned and it was well worth the frozen hands afterwards. Crashing waves, cliffs going from gold to almost black… and hardly another soul around. Mesmerizing.